Love it! When I thought I didn’t expected to be that gorgeous and heavy, for grey, white and beige tones this is a must, check the picture of my bathroom. 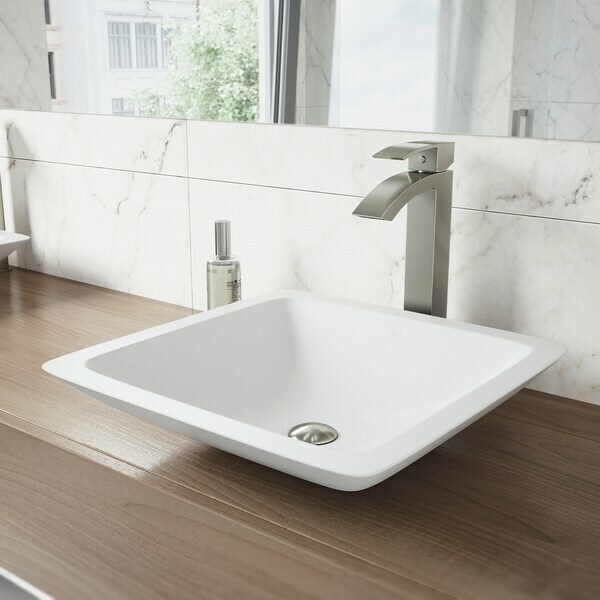 The VIGO Duris Vessel Bathroom Faucet features an eye-catching square design and statuesque height perfect for any vessel sink. Constructed from solid brass, this bathroom faucet is sure to remain a long-lasting fixture in your bathroom. Dimensions 4.88 In. X 2.0 In. X 12.0 In. We bought this faucet for a vessel sink in our super-modern condo remodel. It not only looks stunning, but looks even better with water flowing. 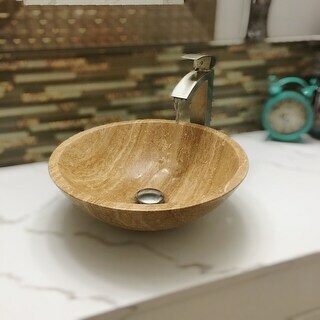 Because there is no obnoxious aerator, the water flows cleanly and clearly from the faucet, allowing a refreshing feeling on your hands. It's fantastic. Highly recommended. Beautiful. Looks amazing in my new remodeled bathroom. I highly recommend it for a modern design. The price was reasonable. The flow is like rain or a full flow. I paired it with an espresso cabinet and a granite sink.